NFC wearables specialist BaubleApp has teamed up with merchandise maker Foamation to offer NFC keyrings and necklaces to fans of the Green Bay Packers football team. 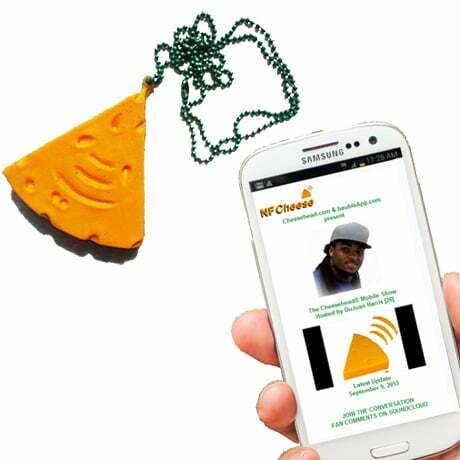 Fans, nicknamed “Cheeseheads”, will be able to tap their phones to the new NFCheese merchandise to access audio and video updates from Green Bay player DuJuan Harris throughout the 2013 season. The US$9.75 keyring and US$12.50 necklace are available to purchase online and at local retailers. Comments Got something to add or correct? Let us know! Get headlines and more with our free email newsletter.